I got this as a gift for someone and so did someone else, so I am left to sell my copy. 112 pages of brand new, never-seen-before comedy that fans of the OOTS comic can’t read anywhere else. 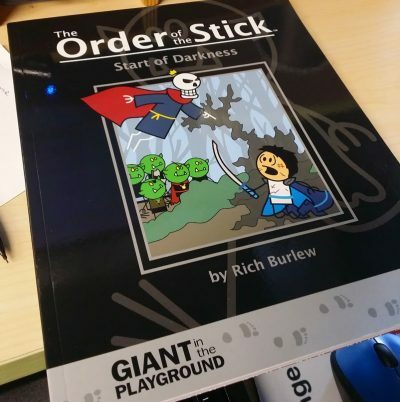 Black and white, but with a special 16-page full-color insert telling the Secret Lore of the Crimson Mantle – in crayon format! Preface by Miko Miyazaki, paladin.